Honestly, I am sooooo impressed with you as a lender, communicator, etc. I cannot tell you how much I appreciate your foresight, your dedication, your professionalism, your knowledge… everything. You make the most difficult part of the process pleasant. Even with TRID, you are ready to close early. WOW. Thanks MUCH!! Basically? We’ve been range-bound for the better part of two years, bracketed on the lower side at about 3.625%, barely a sliver above the lowest rates in history that touched about 3.375%. And, on the high side, high being a relative term, at about 4.25%. That’s a tight range. For two years. It can lull us to sleep, for sure. Going back a bit further, spanning four years, that range really hasn’t broadened much. The highs were about 4.5%, and about 3.375% at the lowest point in history, between Oct. 2012 and May 2013. Once again, as I was thinking “maybe” the economy was on firmer footing (and it still may be, one month certainly doesn’t make a trend) and rates may start drifting higher again? 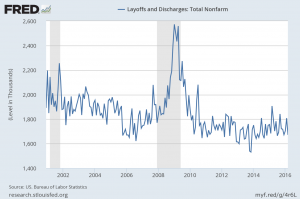 We have the worst employment report in about six years, today. 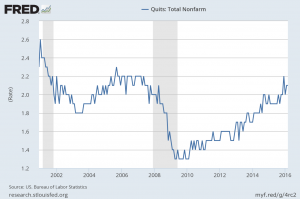 However, we’ve also been enjoying the longest stretch of sustained job creation in history. Certainly the monthly gains haven’t been as big as in some prior recoveries, but the overall sustained volume has been unprecedented. 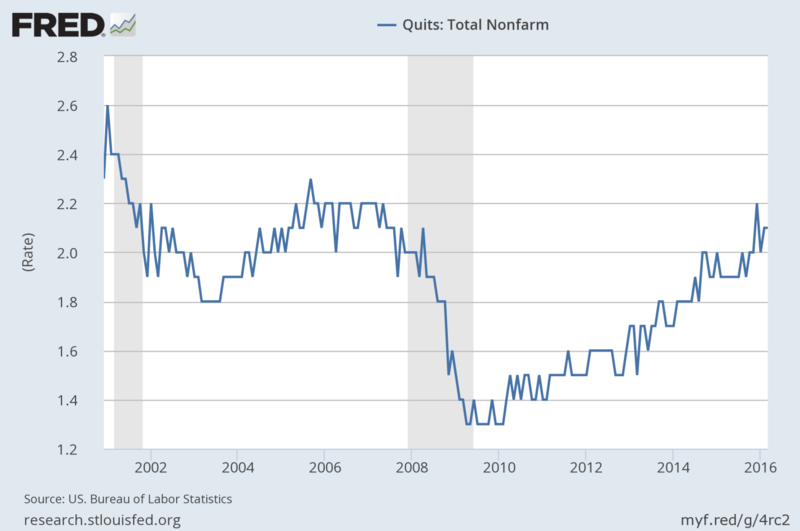 So, it’s my sense to not put much stock in this clunker of an employment report. I think it’s indicative of the ongoing, choppy recovery we’re seeing in the US and other developed economies around the globe. And, there may be some other, more anomalous factors, as well. What’s that mean to you? If you’re positioned to buy or refinance your home during one of the dips in rates, most excellent. Good fortune is with you. If you’re not? Another one could be just around the corner. And, if it’s not, and rates keep drifting higher, don’t fret. 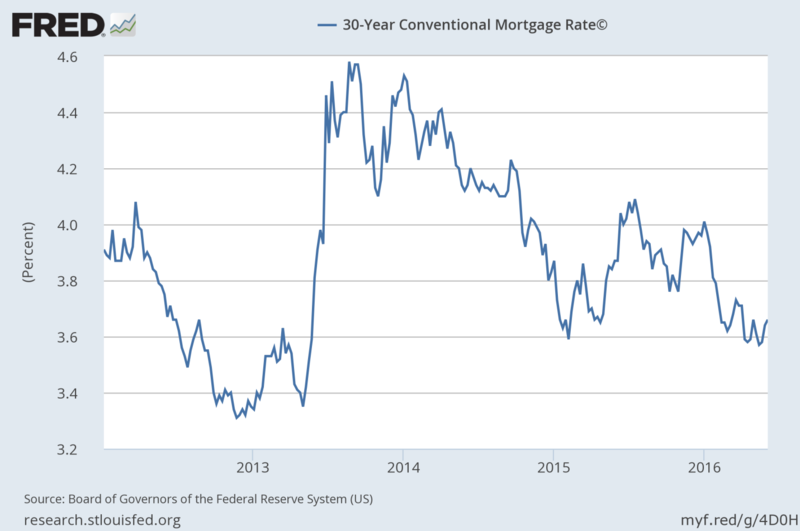 We’re still about 2%-2.5% below what would be considered a “normal” 30yr fixed mortgage rate in the US. So, keep that in perspective. 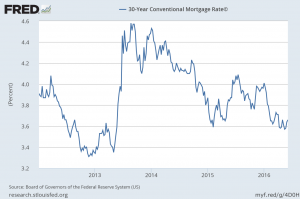 Rates are still in the “ridiculously low” range. It’s more probably than not, that that “return to normalcy” will happen over many years, not many months. Nevertheless, whether we’ll see this range continue for another few months, or a few more years is anyone’s guess. At this point, I think we can safely say that another Federal Open Market Committee rate hike in June is off the table, despite how many of the voting members may wish that was not the case. And, I’d put maybe 50/50 or 60/40 odds on another rate hike by the end of the year. 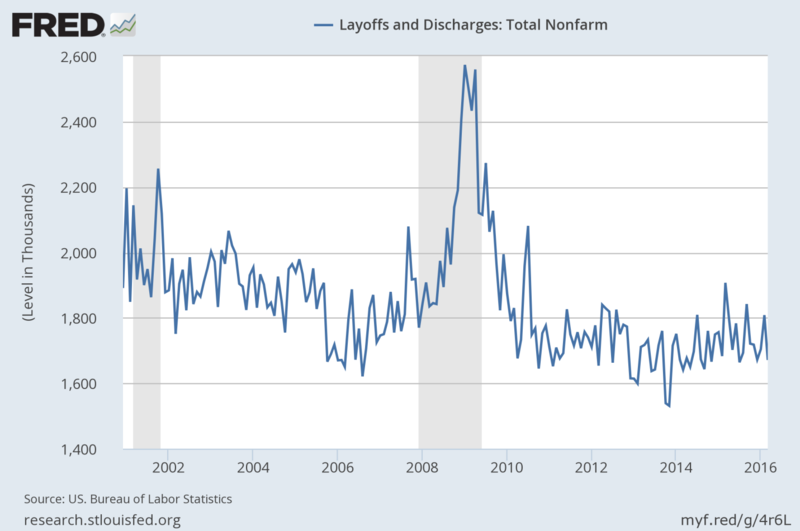 If the economic data they rely upon continues to firm? They’ll raise rates. If it doesn’t? They will stand pat. But, there may be some hidden motivation to move off this historic floor, if for no other reason than to give themselves a little more ammunition, if we do somehow slow (or tumble) into another recession before we’re further off these historically low rates, easy monetary policy, and slowly recovering economy. I’ll do my best to keep you posted on what rates are doing, and my take on why. But, if you don’t hear from me, it’s probably because there’s nothing significantly new to report. Please don’t hesitate to call or email if you, your friends, clients, or family have questions about buying or refinancing residential or commercial real estate.